JDS Surfaces specializes in residential remodeling and new construction for Las Vegas homeowners who want comprehensive expertise and quality craftsmanship from trusted, local contractors. Our goal is to offer your family the function, style and aesthetic you need to transform your ordinary space into a place you are excited to live, play, and come home to everyday. At JDS Surfaces, our contractors and installation technicians take pride in every detail of your home remodeling project or new residential construction, and work diligently to keep your project on task and on budget. Since we also own and operate our own flooring company, custom cabinet company, and stone fabrication company, you are guaranteed the best quality and superior customer service from experts who truly know the business. Bring the whole family together in comfort and style with a variety of home renovation solutions that give your living rooms, family rooms, great rooms, entertainment rooms and dining rooms a fresh new look. With innovative in-house designs from JDS, we’ll turn your ideas into an amazing transformation to enjoy for years to come. 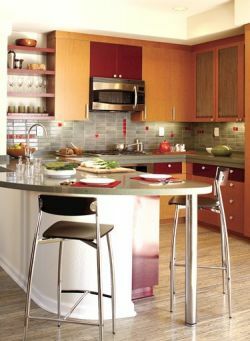 Whether you want to increase cabinet space and functionality, or update the look of your kitchen with modern amenities and inviting designs—a complete kitchen makeover can be just what you need to enjoy spending quality time in the most popular room of the house. Turn on the light to a bathroom remodel that invites luxury, serenity and tranquility, so spending time in this essential room of the house…becomes a pure delight. Create a peaceful space to arise in the morning and retreat at night with a bedroom remodel that will add all the right textures, colors and functions you need to relax in comfort and sleep soundly. Whether you want to add custom built-ins to increase storage, closet space, and entertainment areas —or want custom furniture sized to fit your space—JDS can offer you design solutions that complement your budget and present you with a bedroom you’ll love. Adding an enclosed or covered patio, outdoor kitchen, pool house, shed, playhouse, or detached office or hobby room can extend your living space to the great outdoors and instantly increase the square footage and value of your home. Your children outgrow their shared room, your college student craves independence but needs an economical solution, an aging parent is dependent on your care, or you want to generate rental income—all ideal scenarios to encourage a room addition or conversion that adds space to your home without the added expense of moving. When you want everything you need for your residential remodeling project from one qualified company, let the experts at JDS Surfaces handle all the details and you’ll quickly have peace of mind in knowing that your project is in the right hands.